By default, the ‘Run as administrator’ option can be used to initialize any program using the elevated privileges. The option works for every user account that Windows 8/Windows 8.1 has regardless of the privileges and rights that the account may have. In case you are facing some issues while using the ‘Run as administrator’ option when you are signed-in with any administrator account, and the operating system displays an error mentioning that the particular .exe file was not found, it means that there is some issue with the group membership of the administrator account itself. [listNum]■Enabling the built-in Administrator account. ■Once the account is enabled, you can remove the culprit administrator account from all the groups to which where it has been added as a member. (This also includes the default Administrators group). ■After this, again add the account back to the Administrators group. This should rectify the issue instantaneously. ■Log on to Windows 8/ Windows 8.1 using administrator account. ■Once logged on, from the Start screen, click the button with down arrow to open the Apps window. 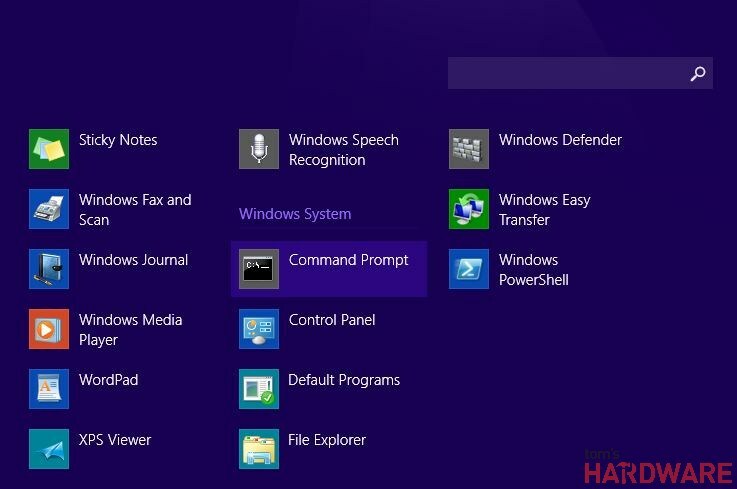 ■In the Apps window, under Window system, click the Command Prompt icon. 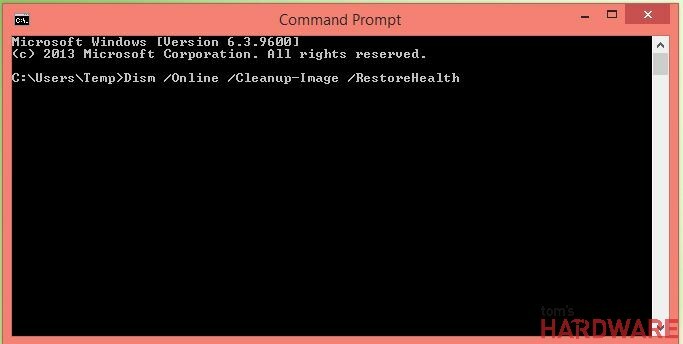 ■In the Command Prompt window, type DISM /ONLINE /CLEANUP-IMAGE /RESTOREHEALTH. ■Press Enter to execute the command. Note: The entire process may take up to 30 minutes to complete. 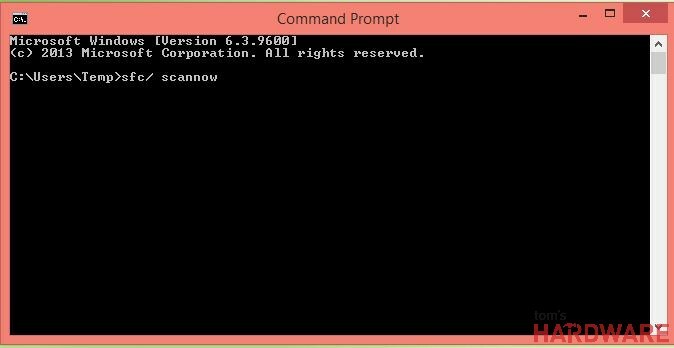 ■Once the above command is completed, type SFC/ SCANNOW in the command window and press Enter. ■Wait till the process is complete, and restart the computer to allow the changes to take effect. ■Once the system restarts, try running any application using the Run as administrator option. The issue should be resolved by now.